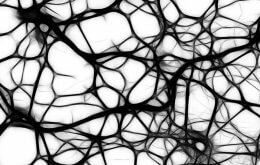 The findings of the study, published on-line by the Journal of Neuroscience and supported by the Wellcome Trust, are exciting in that they point to future therapies for the repair and improvement of damage to the peripheral nervous system. The peripheral nervous system is the part of the nervous system outside the brain and the spinal cord. It regulates almost every aspect of our bodily function, carrying sensory information that allows us to feel the sun on our face and motor information, that allows us to move. It also controls the functions of all the organs of the body. Damage can occur through trauma: it can occur in diabetic neuropathy (suffered by almost half of those with diabetes) and patients with common inherited conditions such as Charcot-Marie-Tooth (CMT) disease. There can be a wide range of symptoms, from loss of sensation in the hands and feet to problems with digestion, blood pressure regulation, sexual function and bladder control. Schwann cells provide the insulation, or myelin sheath, for the nerve cells that carry electrical impulses to and from the spinal cord. Schwann cells, because of their plasticity, are able to revert back to an immature ‘repair’ cell to repair damage to the peripheral nervous system. The level of repair is remarkably good but incomplete repair, perhaps after the severance of a nerve, may lead to long-term loss of function and pain. The ability of Schwann cells to demyelinate can make them susceptible to the disease process seen in conditions such as CMT. CMT affects one in 2500people, so is a comparatively common inherited disease of the nervous system. Mutations in the many different genes in CMT can cause cycles of repair and re-insulation (re-myelination) which lead to long-term damage and the death of both Schwann and nerve cells. There is currently no therapy for CMT and patients experience increased sensory and motor problems which may lead to permanent disability. The research team believes that its work to understand the ability of Schwann cells to revert back to an immature state and stimulate repair will lead to therapies to improve damage from severe trauma and break the cycle of damage caused by CMT. They also believe that there may also be potential to improve repair in cases of diabetic neuropathy. They have identified a DNA binding protein, cJun, as a key player in the plasticity that allows a Schwann cell to revert back to the active repair state. cJun may be activated by a number of pathways that convey signals from the surface of the Schwann cell to the nucleus. One such pathway, the p38 Mitogen Activated Protein Kinase Pathway, appears to play a vital role: it is activated after PNS damage and may promote the process of repair; conversely it may be abnormally activated in demyelinating diseases such as CMT.